“Painting it Forward” Parties presented by Art For All People! Explore your creative side and contribute to a just cause with a truly unique art adventure. Absolutely no experience is necessary to have a great time. 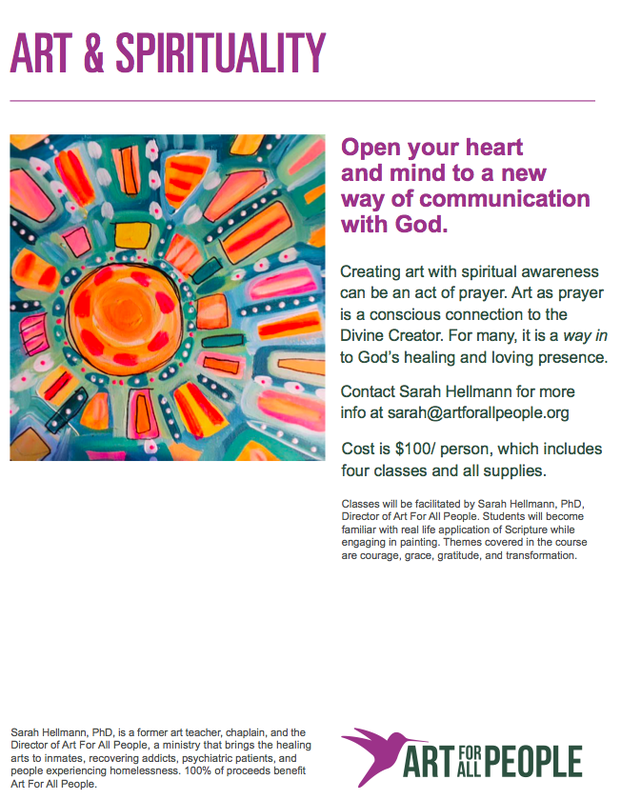 Local artist and director, Sarah Hellmann will guide you through a featured painting with simple step-by-step instructions. Discover your creative talents and go home with a masterpiece that is exclusively yours. 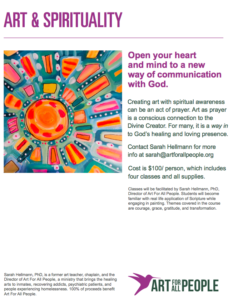 100% of the proceeds benefit Art For All People, a ministry that brings the arts to people suffering in our community. Each party includes a special encouraging message that will remind you of the artist that lives within you!